It takes water to pressure wash a building – a lot of water. But, what do you do when water neither available nor desirable? In the vent you find yourself in the middle of a drought or a job site with no water availability, you may want to consider cob blasting: it’s simple, effective and great for the environment. Cob blasting can be an effective alternative to standard pressure washing in applications where water is either unavailable or undesirable. Originating with log homes, it has become increasingly popular among mainstream contractors as they become more and more aware of its benefits – both to their businesses and the environment. Grit made from actual dried corn cobs takes the place of sand and is used in the same way that sand blasting works, but without the damaging effects that high pressure sand blasting would have on wood surfaces, especially with log homes. 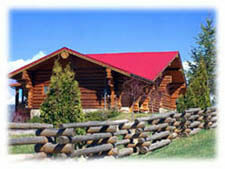 Cob blasting can even be used on the interior of log homes because it is so gently effective. Log home builders and suppliers have approved cob blasting because it doesn’t contain harsh chemicals and doesn’t introduce water or other pH changing materials into the wood. The use of cob blasting on site as well as in controlled shop environments is a growing market and one that will only expand as people search for more environmentally friendly ways to clean decks, shingles and wood siding. Cob blasting can also be used to remove paint from wood and stain from log homes. Because cob blasting is a completely dry process, it is a perfect choice where water supply is not available or where water would damage the surface or allow mold growth to begin. The process has no environmental impact because the corn itself biodegrades within a few weeks and doesn’t contribute to pollution with wastewater products. As we continue to search for more “green” solutions to common problems, cob blasting presents itself as an excellent choice, and one that will make your business stand out among the competition. Using a natural product, rather than chemicals is very appealing to environmentally conscious customers and they can have the assurance that cob blasting is non-toxic and safe for people, animals and plants. Make no mistake, green is in and if your business can corner that market, the payoff will be substantial. For the contractor, the benefits include a shorter wait time if you are planning to apply a finish after blasting. Unlike water pressure washing, cob blasting is dry and won’t cause the wood to swell. As soon as the blasting is complete, refinishing can begin, saving valuable work time – and money. Besides not being tethered to a water supply, cob blasting saves you time because you are not forced to bring water or chemicals to the jobsite and there is virtually no clean-up of the area or wastewater to deal with. It’s a benefit for all concerned. The publisher of these pages is in no way responsible for any damage caused to you, your pressure washer, anyone else, your property, or anyone else's property by trying to implement or by successfully implementing the above-mentioned performance and services.